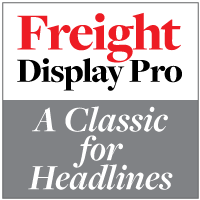 Freight Display Pro is amazing font was designed by Joshua Darden in 2010. Since then, the typeface has been considered as the best choice for various print jobs. The font is a perfect combination of modernity and traditional art. The flow is smooth.